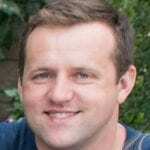 Propaganda is the art of persuading people to have a particular view about something. Propaganda is always biased. It is used by political leaders or organisations to deliberately mislead a population into believing a certain set of facts or beliefs to be true. Propaganda is used by most countries in times of war to encourage hatred towards the enemy and to promote nationalism (being in favour of one’s country) in the population. 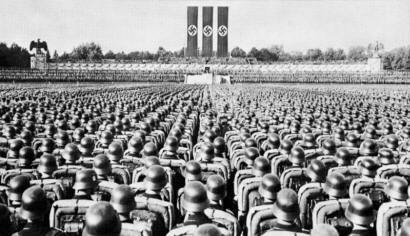 Hitler believed so strongly in the power of propaganda that he created a post in his new government for a Minister of Propaganda and National Enlightenment. 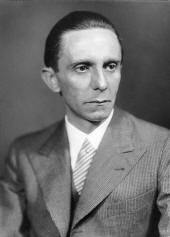 Joseph Goebbels (left) was the man appointed to the post. One of the first things that Goebbels did was to establish the Reich Chamber of Culture. This new organisation was established to deal with all aspects of culture. It was sub-divided into seven departments that dealt with literature, news, radio, theatre, music, visual arts, cinema. the media, the arts and literature. Each department issued instructions as to the themes and styles that were acceptable and unacceptable to be produced. 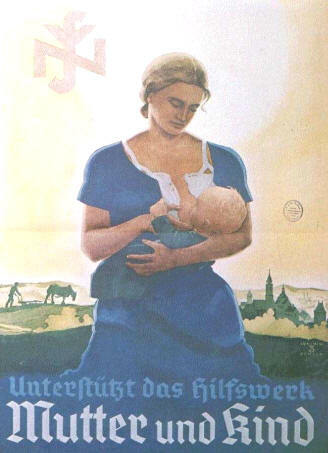 In all areas the only material that was allowed to be produced was that which promoted Nazi ideals. The Reich Broadcasting Company had been founded in 1925 and was a network of nine German radio channels. In 1933 the company was nationalised and came under the control of Joseph Goebbels. Goebbels saw that radio had a great potential for spreading the Nazi’s message. Loudspeakers were installed in factories and public places and the Nazi’s made it a priority to produce an inexpensive radio receiver. The People’s Receiver 301, named after the date Hitler became Chancellor (30th January), was produced in August 1933 costing 76 Reichmarks. A cheaper version costing just 35 Reichmarks was later produced and radio ownership rose from 4 – 16 million households. Both radio sets were configured to only receive Nazi radio broadcasts but in case people were tempted to listen to other stations the Nazi’s made listening to foreign radio stations a criminal offence. 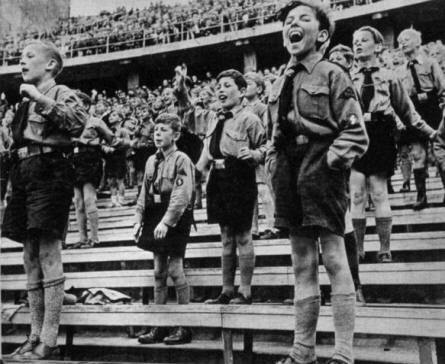 Two of the many films produced that helped to get the Nazis message to the people were Leni Riefenstahl’s Triumph of the Will and The Eternal Jew, a racist attack on the Jewish population. 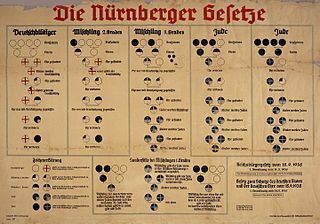 Posters were also used to persuade people to the Nazi point of view. 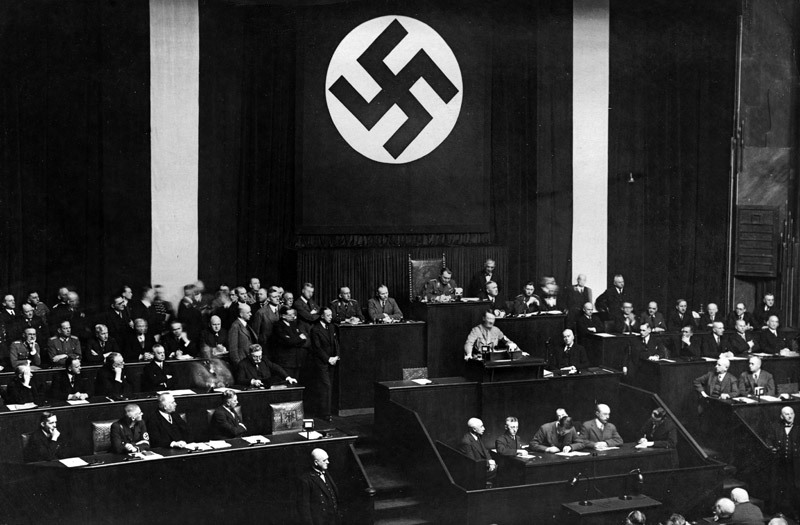 Those pictured below are just some of the many produced by Hitler’s Nazi Party. 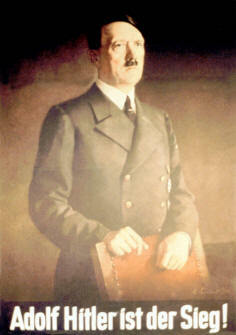 Adolf Hitler is Victory! 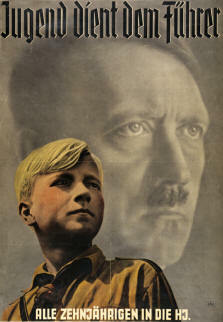 Youth Serves the Fuhrer. 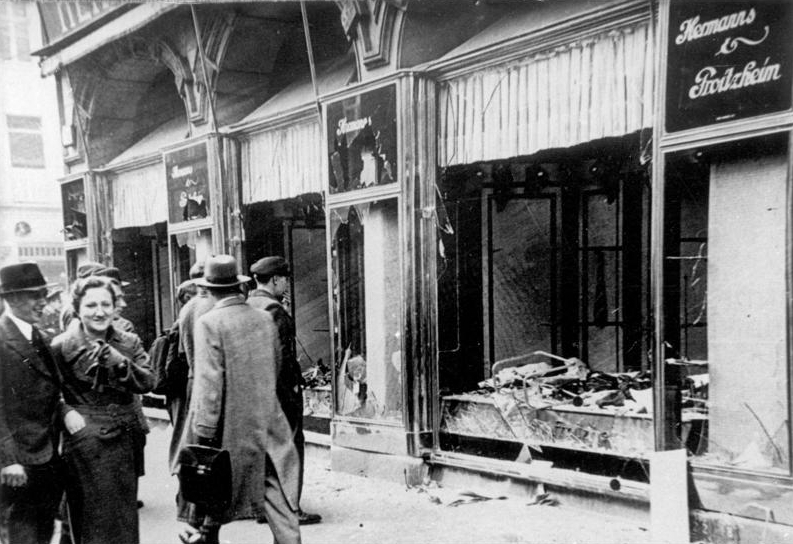 This post is part of our collection of resources on Nazi Germany. Click here for our comprehensive information resource on the society, ideology, and key events in Nazi Germany.